Frequently when a star forms, a disk of dust and gas circles the YSO causing a powerful central jets to appear. 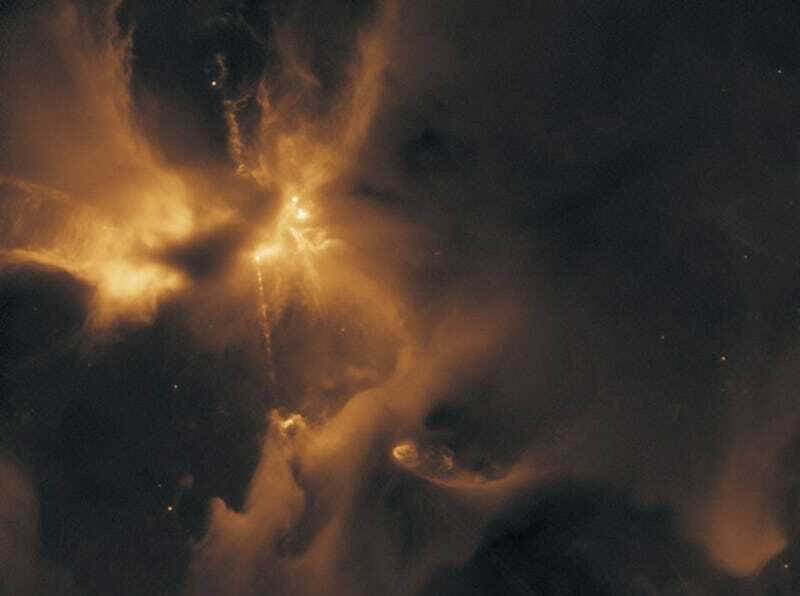 In this case, the energetic jets are creating, at each end, Herbig-Haro object 24 (HH 24), as they slam into the surrounding interstellar gas. [...] Due to their rarity, jets like that forming HH 24 are estimated to last only a few thousand years. Spanning for trillions of miles, it reminds me a bit of a very angry Dark Phoenix about to devour a star. Or a knight slaying a dragon.